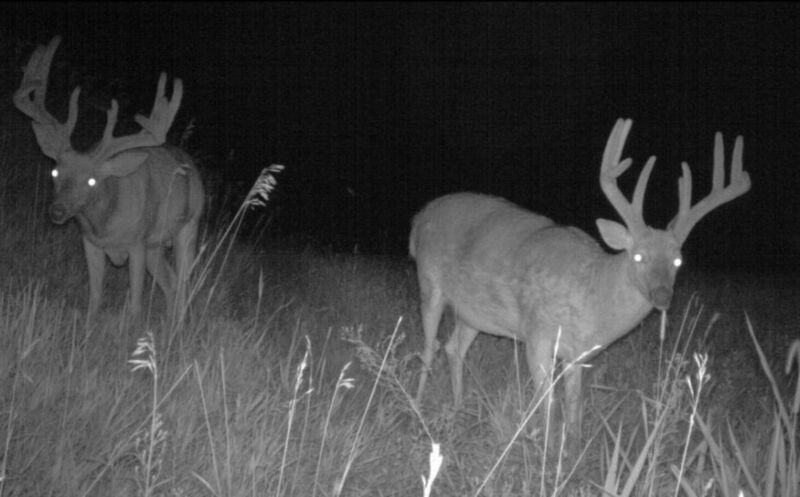 Before revealing several strategies for how to hunt a deer bedding area, maybe we should back up a bit; should you even hunt a deer bedding area in the first place? It has been nearly 10 years, but I was at a seminar in PA and listened to a well-known whitetail speaker who made a statement that, "if you shoot a mature buck during the morning, you are lucky". It was an eye opening statement at the time because nearly any successful mature buck hunter that I knew, harvested a high % of their bucks during the morning hours. Now looking back with years of reflection on my side, the statement that was made was just a sign of changing times; a time where "you knew what you knew, and what you knew was fact". With the age of social media and the immediate availability of an explosion of whitetail information, common threads of experience and truth can be shared openly and honestly like never before. 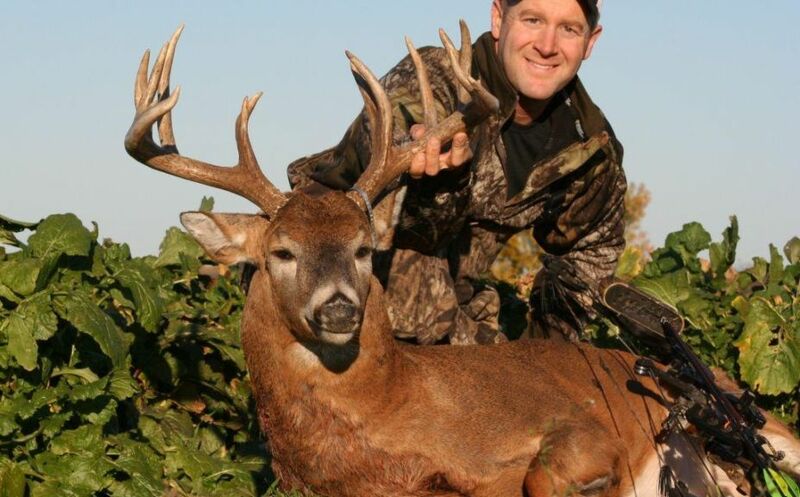 Proven strategies concerning how to hunt a deer bedding area are certainly no exception! I encourage you to not only practice the strategies of hunting a bedding area, but to scout, create and plan in advance for the incredible opportunities that bedding area hunting has to offer. In the video below, you'll see how I hunt a hinge cut bedding area on my SW Wisconsin parcel. Bedding areas are meant to be taken advantage of, and hunted. That doesn't mean that every bedding area is actually huntable, but instead that there is no other location that a wise old monster is vulnerable within, than when he is in his most sacred portion of habitat; his bedding area. During the rut, mature bucks move several hours during the morning hours, and often an hour or less during the afternoon. I personally believe that bucks cruise more during the morning hours because of the drastic difference in temperature when compared to the hours of afternoon. For example, a 27 degree start to the morning may still feature temperatures in the 30s at noon, even if the afternoon high will reach 58 degrees. As soon as the daytime high is fast approaching, I have experienced that mature bucks take a seat fairly quickly. It may seem too easy to just simply conclude that you have several times more opportunity to harvest a monster during the morning hours than evening, however I have greatly enjoyed experiencing the morning wanderings of mature bucks for over 25 years, and it works! How does that have anything to do with hunting a deer bedding area? Because although the distance a buck may bed may be a mile or more away from his evening food and social locations, he is most likely spending the majority of his morning and the rest of daylight hours, in his bedding area. Often a mature buck seems unhuntable, but it is often because hunters aren't bringing the hunt to the buck. While focusing on a hunting strategy that includes a buck's sacred bedding area, you can plan on the high potential of spending a greater amount of time in a deer stand within close proximity to a mature buck, regardless of where he feeds and socializes during the evening hours. Slipping quietly into a pre-set tree stand like a deadly predator, is one of the best ways to ambush a "Nocturnal Buck". By catching him returning late to his bedding area during the morning hours, the element of surprise can be fully on your side. Mature bucks are not nocturnal, they only appear that way because many hunters hunt too far away from a buck's bedding area to witness predictable daylight movements. Hunting a mature buck's lare is one of the best ways to turn a buck that appears nocturnal, into a daylight walking giant that crosses in front of your bow stand. *Have you fallen victim to the tales of nocturnal bucks? 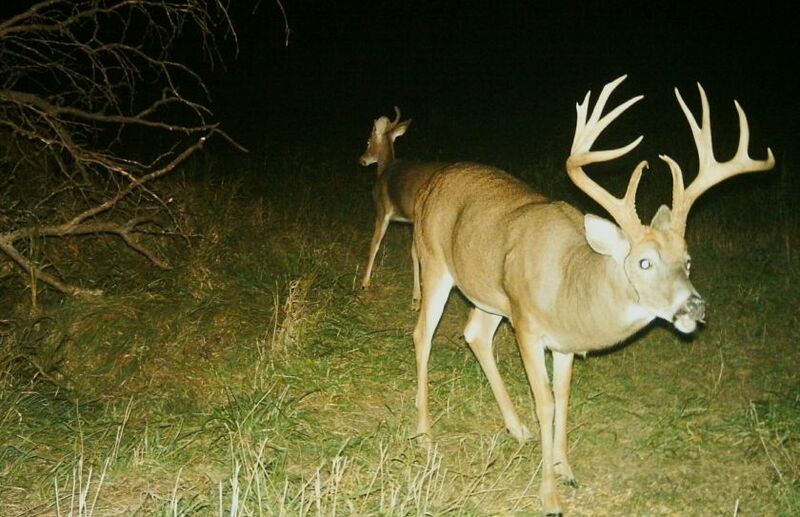 Read these myth busting tips in,"Nocturnal Buck Strategies". 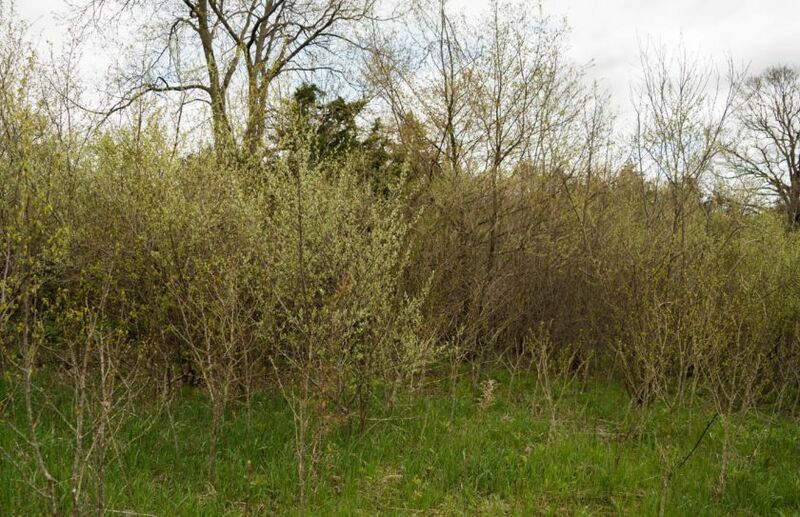 How To Hunt A Deer Bedding Area? Hunting a bedding area requires a much higher attention to detail than when hunting a daytime cruising area, or evening food source movement. The details are within the exact location of the bedding area itself, which either needs to be highly scouted, or intensely created and defined. By finding a major food source and locating adjacent doe family group bedding areas you are on the right path for figuring out where a mature buck will bed. I have experienced that a buck will nearly always relate to consistent doe bedding areas. He will typically bed away from, and behind the doe family group bedding areas; which is even further away from the evening food source. The natural deer bedding alignment often features an extremely defined structure of a major food source first, then doe bedding opportunities, and finally mature buck bedding. Once you recognize the orderly structure of bedding, it is time to hunt! The more highly defined a bedding area is, the easier it is to hunt. 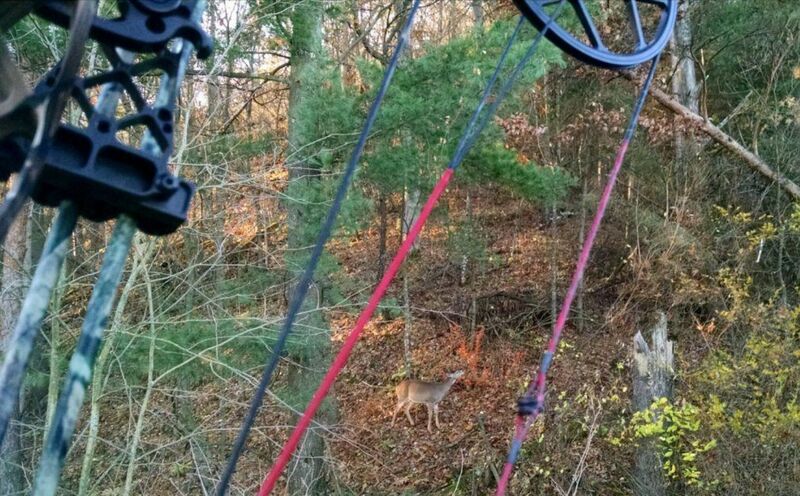 While entering a pre-set hang-on stand it is critical to stay well away from the food and doe bedding portions of the natural bedding alignment. By first defining the exact acres (or less) that include the bedding area, your goal is to slip into the downwind edge or adjacent funnel, and wait for the sun to rise! Many times I have had to walk a 1/2 hour or more out of my way, to access a stand only 10 minutes from the vehicle because I know that I spook the entire deer movement, my hunt will end before it even begins. Now at times I may seem "anti-climbing stand" but I am not, having used climbers on over 20 sits on public land in OH last year alone, as well as a few in WI. However they often can be a very poor choice for the level of stealth required for hunting bedding areas. Often a buck is already near or around his bedding area when you enter your stand during the morning hours, and your entrance can not include any unnatural noise. That includes during the walk in, the set up and the climb. I live by the practice that one metalic ting or out of place sound, can spook a mature buck at least 200-300 yards from the place of the noise, in effect ruining your hunt before it even becomes daylight. Hunting a bedding area requires absolute stealth (I actually hunt that way no matter where I sit), with it being critical that you can get in and out of your stands while making little to no sound at all. Using a climber is a disadvantage, but often on public land, in heavy hunter traffic areas, or due to last minute scouting findings a hunter has to use a climber. If you are going to try deer bedding area hunting, I would strongly recommend pre-set stands, including hang-ons, ladders and tri-pods. Not that you can't get the job done with a climber, but that in my experience you will end up with a lower level of overall opportunities. A pre-set stand also allows you the potential to leave no scent behind you when you hunt. You simply have to walk to a tree, clip your bow in, possibly attach your lifeline, and climb. No fiddling with cables, clasps, bungees, straps or otherwise anything else that requires you to stand for a minute or more, and saturate the base of your tree with human scent. I even go so far as to to avoid the bottom steps with my hands if possible. Getting in and out without a trace is not only important for your first-time sit in a bedding stand, but during follow hunts to maintain the value of your sits for the rest of the season as well. I believe we as hunters actually spook more deer after we leave a stand because of lingering human scent, than we do while sitting in a stand during the hunt. *Paying attention to the tips in this article for how to hunt a deer bedding area, paid off in a big way while on the hunt for this 15 point beauty! Read all about it in, "Morning Sneak Tactics for Mature Bucks". 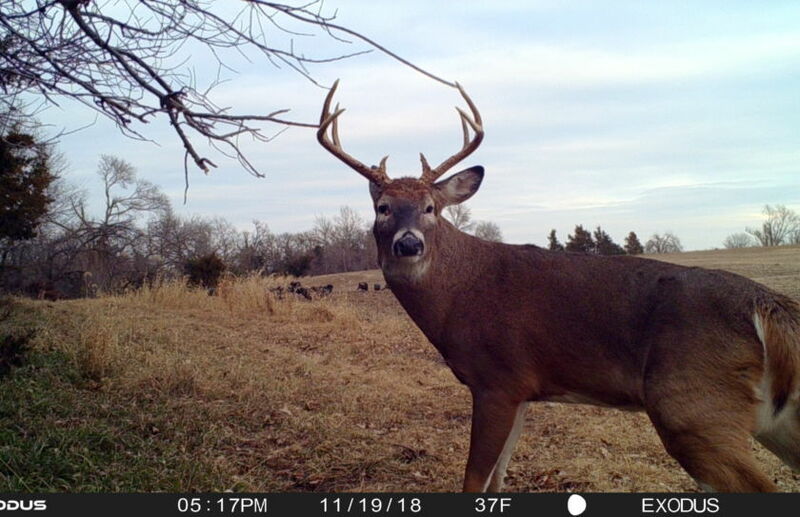 It is nearly impossible to hunt a deer bedding area during the afternoon because the mature buck that may be using the daytime hotspot, is most likely already there. At the same time if you manage to slip into the downwind side of a bedding area for a great morning hunt, the potential of your success decreases as the hours continue to inch closer to the evening darkness. 1. Early season bow hunt chances. This is a great time to take a couple of jabs at your favorite bedding area, well before moving in for the knock out during the pre rut or rut. If you have at least 4 weeks before your rut hunting becomes serious, don't be afraid to take a chance, in particular if your game cameras are showing high quality shooting hour movements coming from the direction of the bedding area. 2. Pre-Rut and Rut. Make sure to pay attention to frosty, toe numbing mornings that follow a major cold front! This is by far my #1 time to harvest a mature buck. However, precision is key. Make sure that you don't hinder your potential for a high quality sit only a few days away during a cold morning, by entering too early during a warm weather sit (regardless of the moon phase) during the previous day. Patience is key. 3. What about the "October Lull" or late season? With the exception of the early bow season and rut, the potential for success during an early morning sit is extremely low, often paling in comparison to an evening sit that relates to feeding patterns. I still like to take a sit during this time of the year, in particular if the structure of deer alignment that I will be sitting within, does not relate to a higher value evening sit within the same movement. Also, during late season morning bedding area sits, you can often experience some great success if you wait for warm mornings that follow extremely frigid and frozen mornings. Opposite of early season and rut hunts, deer will often be bedded an immobile during the coldest portion of the day, which is during the morning. Earlier in the year warm mornings will set up and increase the value of a cold morning sit, while late in the year a series of cold mornings set up and increase your odds during a warm morning. *Early morning sits during the rut can be pretty cold! 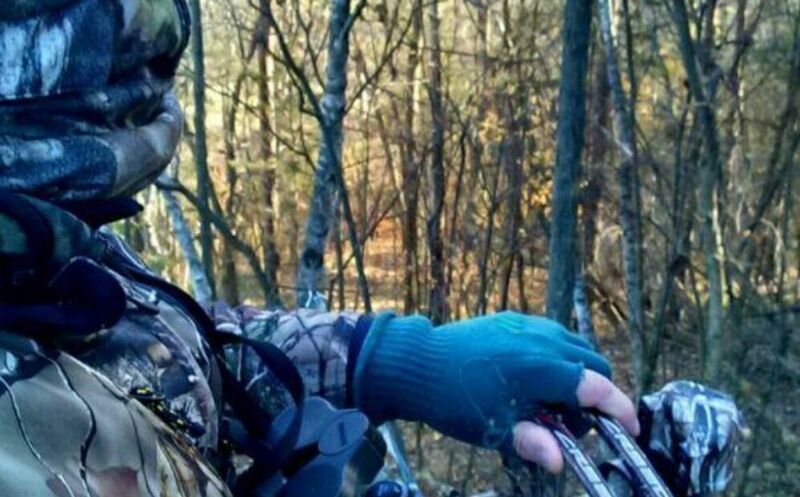 For some great tips on staying warm in the deer stand, check out "Staying Warm in the Deer Stand". Hunting deer bedding areas has accounted for the harvest of over 80% of my top 25 bucks. Each year no matter if I am hunting a public or private land giant, I am continually seeking my next great morning bedding area stand location. Maybe with the explosion of online information you are already well aware, and even experiencing your own level of early morning success. Maybe what you knew to be fact in the past has been altered to new levels of truth, with your exposure to the wealth of information at your fingertips; even on your cell phone! But if you haven't done so already, make sure to include a good portion of bedding area sits within your personal hunting strategy this Fall. Buck and Doe Bedding Locations...why here, and why there?